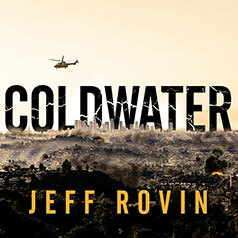 A must-listen science fiction thriller from New York Times bestselling author Jeff Rovin. Wes Harding is a FEMA field director who has stayed behind, searching the wreckage for survivors. He's finding mostly bodies, many with an odd similarity: the rib cages have been sliced open, their respiratory systems meticulously removed. The only thing that's clear is that something more is going on here. With the help of dedicated activist Hannah Lonnegin and hippie scientist Dr. Bernard Dumas, Harding must get to the bottom of the mystery.